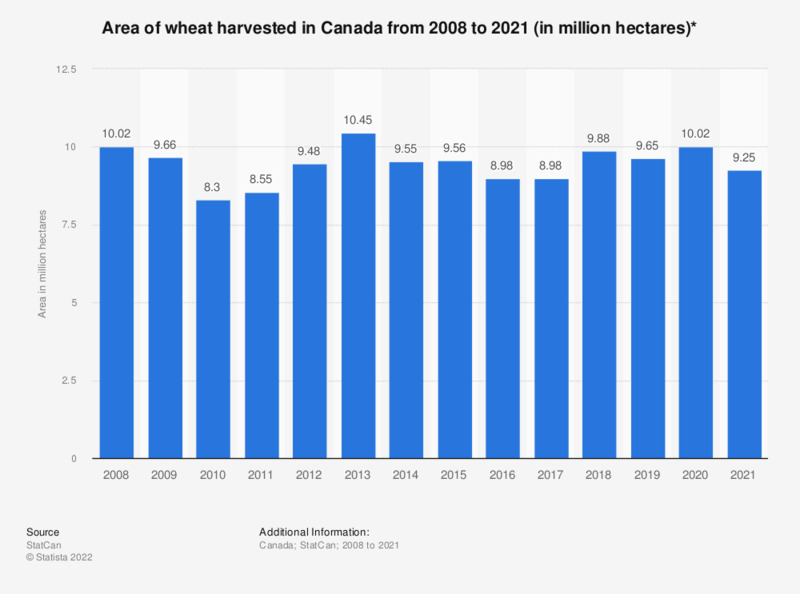 This statistic shows the area of wheat harvested in Canada from 2008 to 2018. In 2017, approximately 8.98 million hectares of wheat, including spring wheat, durum wheat and winter wheat, were harvested in Canada, the same area as the previous year. * Includes spring wheat, durum wheat and winter wheat seeded in the fall.